The Celebrating Fathers Movement for 2017 is a month-long series of activities nation-wide to celebrate the role of fathers and raise awareness of the importance of active fatherhood. 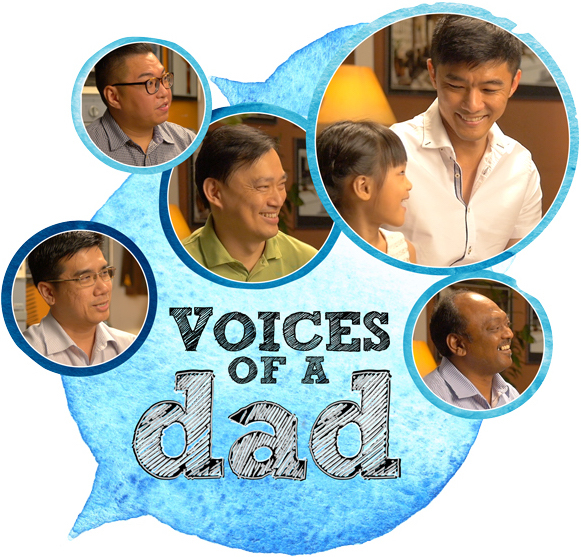 The theme for this year’s celebration is “Voices of a Father”. Centre for Fathering-Dads for Life (CFF-DFL) to tell the stories of fathers in our society who epitomise the key qualities of fatherhood. DADS, you make the difference! 1. Registration for the programme closes one (01) week prior to the programme. 2. If the minimum number of participants is not fulfilled, the schedule programme will be postponed to the next run. You will be notified of the postponement and your registration will be automatically carried forward to the next run. 3. If you wish to withdraw your registration, you can either (1) request for a refund or (2) transfer your registration to someone else. Please email us about the change in advance. 4. Refund can be arranged if you withdraw before the registration closing date. Refund will be done via Paypal. The refunded amount will not be equal to the fee paid because of an admin charge by Paypal. 4. There will not be any refund if you withdraw after the registration closing date. 5. If you are unable to attend the run that you have registered for, your registration will remain open for three (3) months. If you are still unable attend any of the runs of the same workshop within three (3) months from the run you registered for, your registration will be forfeited. The fees paid will not be refunded to you.